I really love Instagram. It’s like a window to a whole new world, full of inspiration and crazy ideas. It’s also a thriving environment for fashion and lifestyle marketers to nurture brand awareness. Since 70% of the audience uses the app to look up brands, Instagram shopping would also be a great platform for visual-heavy businesses that are into fashion, food, lifestyle, etc. As a next step in the evolution of the discovery and shopping experience, Instagram now lets users buy products within the app. This opens up a new chapter in the app’s history, as you can now engage followers who were previously discouraged by the long shopping journey. No more clumsy redirections on your smartphone or re-typing credit card details for every store. But this also begs the question: with Instagram following the footsteps of Facebook and Google by becoming a marketplace, won’t brands and retailers miss out on the ever-so-important second purchase? Let’s take a closer look at Instagram shopping and we will suggest a way to bridge the gap between the first and second purchase. So let’s get to it! How Does Instagram Shopping Work? 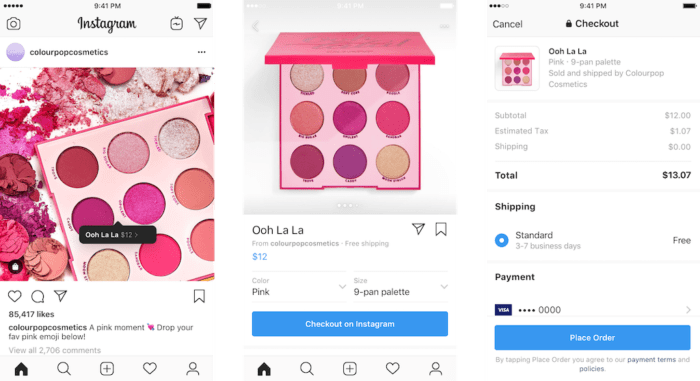 Officially called Checkout, the new Instagram shopping feature is a dream come true for every discovery shopper out there: it allows customers to buy products directly through a built-in storefront. Previously, when you came across a shiny new item you just couldn’t live without, the app redirected you to the seller’s website. This was due to Instagram’s intent to avoid commercializing the platform. But the times they are a changin’. From now on, companies will be able to connect their product catalogues to Instagram. Any item or offer can be purchased immediately and payment is handled by PayPal (while Instagram takes a small cut from the deal). Instagram Checkout is quick, convenient and doesn’t interrupt the shopping experience by opening up another company’s webshop. The service is currently available in the US only, and it’s beta tested by 20 demo partners – including such fashion bigshots as Zara, Nike or H&M. Still, it might become a worldwide phenomenon in the blink of an eye. What Are the Opportunities of Instagram Checkout? Increased conversion: You have an extended reach thanks to hundreds, if not millions, of people who follow you for a reason. Still, these are not necessarily your customers yet—or at least not frequent ones. If you’ve established a large enough audience, Checkout helps you convert followers into actual buyers, as the buying process is extremely user-friendly. Reduced customer journey: People see a blouse or sneakers they like, tap on the screen a few times, the amount is charged to their saved credit card, and voilá, the item is ready to be shipped. Offering such a convenient way to buy your products convinces the modern customer to choose you over the competition. Instant mobile presence: Instagram shopping is also a great opportunity for smaller brands that don’t want to develop a standalone shopping app, but still wish to engage a mobile-savvy audience. Instagram’s new Checkout flow. It’s so tempting and convenient to make a purchase. 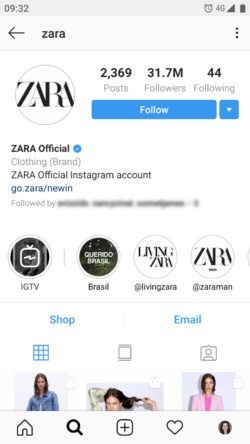 Lack of data: The brands and retailers who partner with Instagram will see very little information about the shoppers, as everything is handled by Instagram. It’s like having a guest checkout: you receive the order and the money, but nothing else. No name, email or any personal data about the buyer. 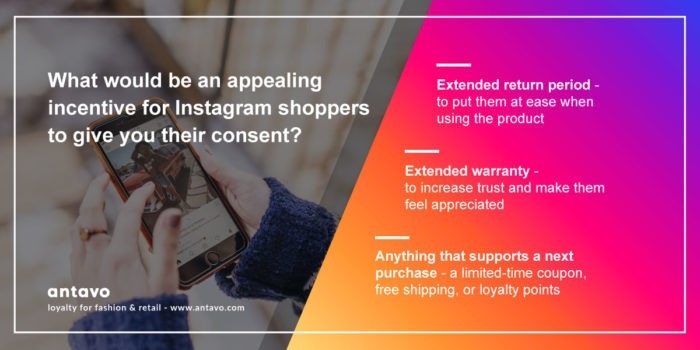 No interaction with customers: Since Instagram Checkout has full control over the transaction process, you don’t have the consent from the customers to send personalised messages or relevant offers. You end up with no room to make recommendations or follow up on the first purchase, which is a sure path to low purchase frequency. Influencers are left out of the equation: Even though the app is chock full of influencers, they won’t be able to impact your sales, because Instagram Checkout needs to be linked to your business profile and product catalogue. Influencers don’t have access to those. massively from the convenience offered by Checkout. You need to establish a wide reach on Instagram. Ads and influencers, in particular, do a great service to increase your audience. With a large enough following, you can introduce Checkout to convert supporters into customers, winning them over with the convenient checkout and great customer experience. At this point, most companies would stop, because they lack shoppers’ consent, which makes it difficult to further engage them. Therefore you need to make use of other available channels to reach out to them. Instagram shopping mainly deals with physical products, and since you are the one handling the shipping, you have the opportunity to add a few ‘bonuses’ to the package. This could be a stylish brochure, encouraging them to sign up to your newsletter. The leaflet is also an expressive way to tell people why they should stay in touch with you. It’s worth highlighting that these kind of benefits are cornerstones of a great loyalty program. Implementing a VIP program is a way to clearly communicate benefits to the customer, not to mention that it adds a wonderful branding element to the picture. Also, the best loyalty programs are omnichannel—bridging the gap between in-store, online and mobile—and also reward any action your company finds important, not just purchases. We published an ebook on this topic for fashion companies. Click below to download it. Now that Instagram has turned into a reseller like Amazon or Facebook, companies have another platform they should keep an eye on in order to stay ahead of the competition. Mastering the social shopping aspect of said app will be a challenge for many, so I urge you to accept any kind of help available. At Antavo, we offer a sound and solid approach to customer retention and a reliable framework that lets you realise your innovative reward campaigns. Feel free to send us your questions, or even better, ask our loyalty experts directly! Book a free mentoring session now and learn how to customise your retention strategy to capitalise on the upcoming Instagram shopping craze.